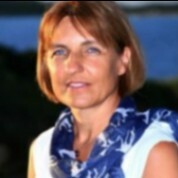 Dr Sylvie Briand is Director of Infectious Hazard Man	agement (IHM) in WHO’s Health Emergencies programme (WHE). Her areas of expertise are communicable diseases, epidemiology, evaluation methodology, health system analysis/reform, public health and social behavioural science. During her rich career at WHO, Dr Briand has held many management and leadership roles and been exposed to different programmes and technical areas including cholera, yellow fever, hepatitis, influenza, MERS, Zika and Ebola. She began in 2001 as a Medical Officer in cholera preparedness and response. She then developed the global strategy for yellow fever, the yellow fever initiative (2005) which allowed the elimination of Yellow fever Epidemics in West Africa (100 million people vaccinated). In 2007, Dr Briand became Team Leader in the influenza programme and then Director a.i. of the Global Influenza Programme during the 2009 influenza pandemic. In 2012 she was nominated Director of the Pandemic and Epidemic Diseases department (PED). Among her recent achievements, she has led the successful implementation of the PIP framework, the development of the Eliminating Yellow fever Epidemics (EYE) strategy supported by GAVI after the epidemic in Central Africa in 2016, and been instrumental in setting up OPENWHO, a training platform that helps up to 250,000 frontline responders. She has overseen EDCARN, a global network of clinicians which developed the guidance for Ebola treatment, managed the training of 8,000 health workers during Ebola 2014 as well as the development of community measures during the Ebola response in 2014-15. Before working at WHO, Dr Briand was project director at CREDES International, a consulting agency specialized in Public Health. She led various projects on health sector reform for development banks, the European Commission and bilateral cooperation agencies. Prior to that, she spent 4 years in South America as director of a regional project funded by the European Commission to support Andean countries in controlling the re-emergence of cholera (Bolivia, Chile, Colombia, Ecuador, Peru, and Venezuela). Dr Sylvie Briand holds a medical degree, a doctorate in “Methods for Analysing Health Systems”, two Masters’ in both infectious diseases and tropical medicine as well as in sociology/anthropology, and a post-graduate Diploma in statistics and epidemiology. She is mother-tongue French, fluent in English and in Spanish and has basic knowledge of German and Portuguese.